The AQ12/AQX12 Swim Spas are slightly larger than an AQX11 and slightly smaller than its popular sibling, the AQ14/AQX14 Swim Spa. The AQ12 or AQX12 are great options where there is not space for a 14’ model or when there is a limited budget. 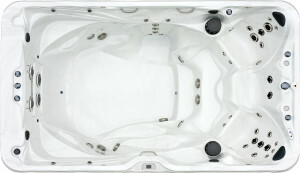 The AQ12/AQX12 swim spas are similar in features and benefits of the 14’ model (see specs for exact sizes) except that both the AQ12/AQX12 are shorter and have a different swim jet pattern with one less pump. 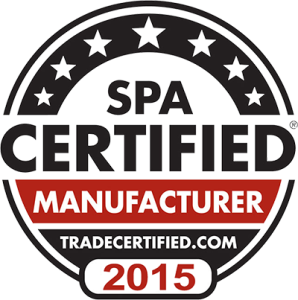 Like all Premium Leisure Swim Spas it comes standard with a tether mount which allows the best of swimmers to swim in place against the current of the swim jets.